Good ol’ Obi-Wan Kenobi. The man was a hero of his time, a general in the brutal Clone Wars and the kind of Jedi you’d look up to in the darkest of times. Especially when said times involved leaving your freshly-amputated protégé to burn to death after a spectacular lightsaber battle. Yeesh, talk about going bat-Sith crazy. Made famous by the late Sir Alec Guinness, Obi-Wan Kenobi has always been an integral part of Star Wars. And now it’s time for the old man to finally get an eerily realistic figure based on his first appearance in Star Wars: A New Hope. 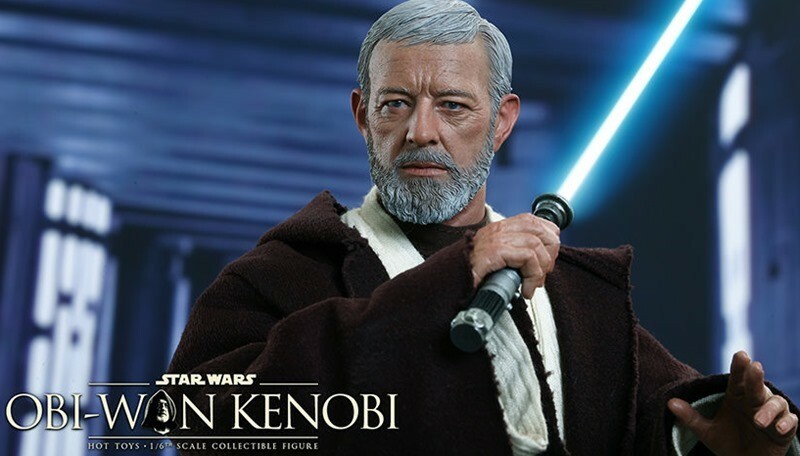 Obi-Wan will retail for around $219.99 when he arrives in the December 2015 to February 2016 period. If you practice really hard however, you might be able to Jedi mind trick one of these figures into your hands. Trust me, I’m trying right now, but I keep tricking myself into falling asleep.